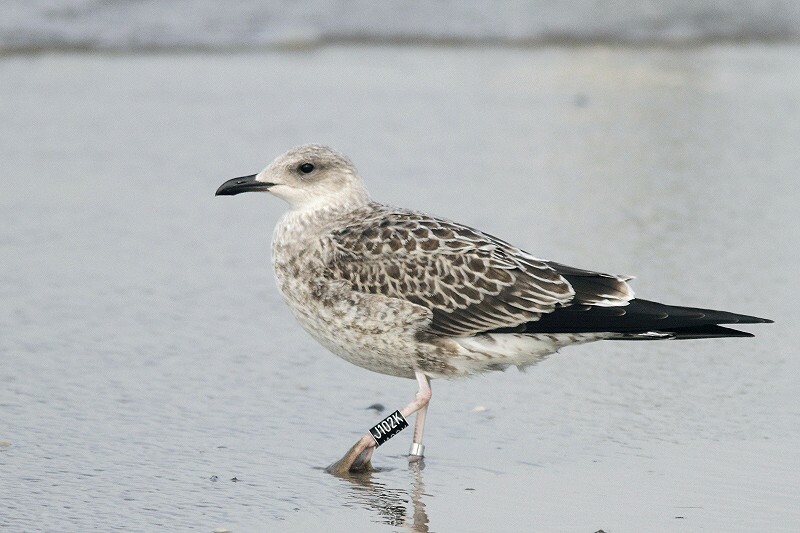 26 September, Strand Berkheide, Katwijk, Zuid-Holland, first calendar-year, wearing colour-ring, (black J102K), photographed (E Schouten via B van der Burg). The record in September 2014 concerns a correction of the municipality. Annual Report 2015.